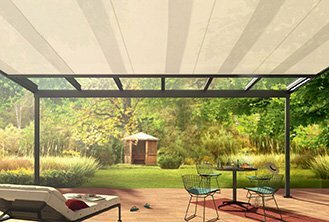 Somfy Quality – Somfy motorised awnings – best in the market. The Weinor range of External Awnings and Patio Blinds offers an extensive and innovative selection to compliment your home or business, and will add to any distinct design. With over 170 awning fabrics and 200 frame colours to choose from, you will be sure to find the finest outdoor solution for your needs. Our guide to the range of Weinor Awnings comes complete with technical specifications and information, and includes photos of finished product that can assist with your final selection. Classic design with the latest technology. Elegant design and brand new technology. Flexible all-rounder for any application. Youthful design meets tried and tested technology. Small, compact, variable opening awning, suitable for under balcony or protruding roof.